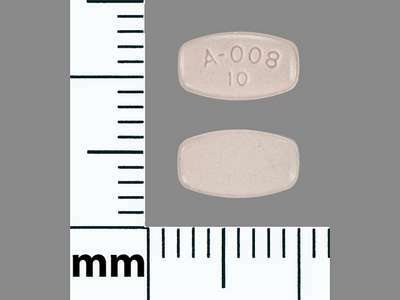 Abilify by Aphena Pharma Solutions - Tennessee, Llc is a pink rectangle tablet about 8 mm in size, imprinted with a;008;10. The product is a human prescription drug with active ingredient(s) aripiprazole. Imprint: A;008;10 What is the Imprint?